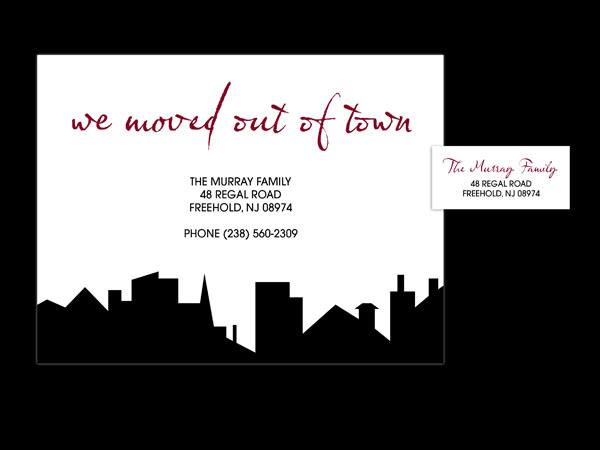 What better way to inform your friends, co-workers and family of your big move? 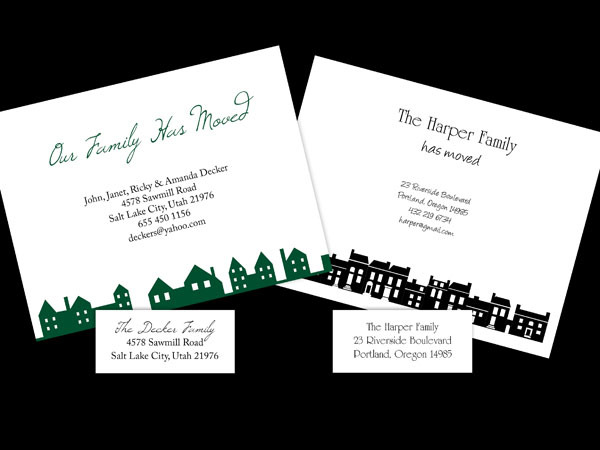 Whether it be a move for yourself or your business, be sure to send out a special announcement with your new address so everyone can find you. 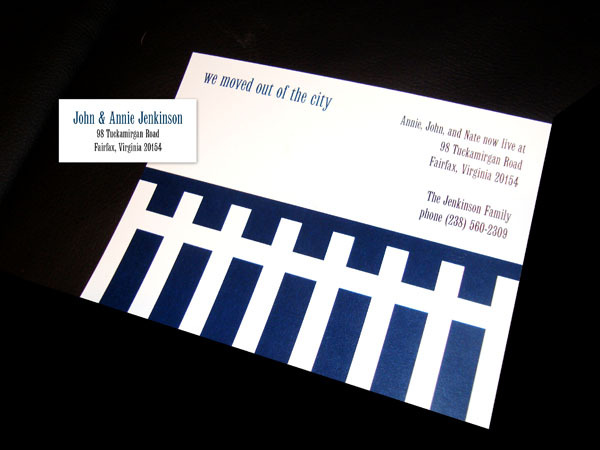 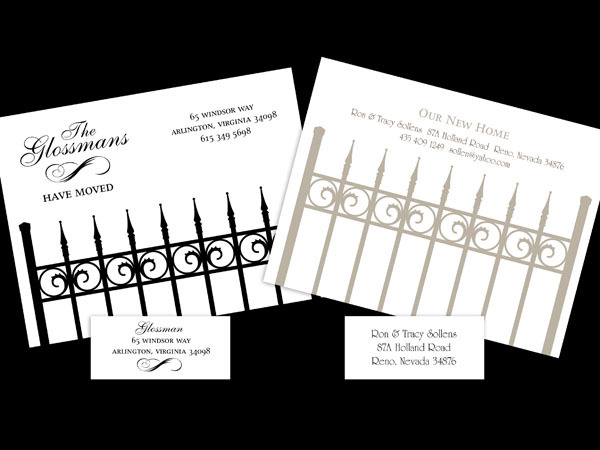 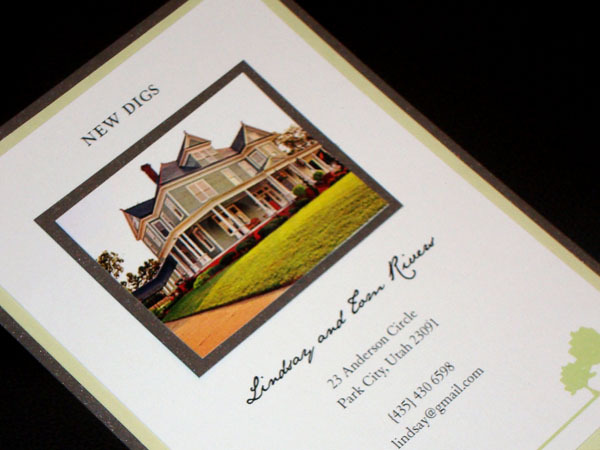 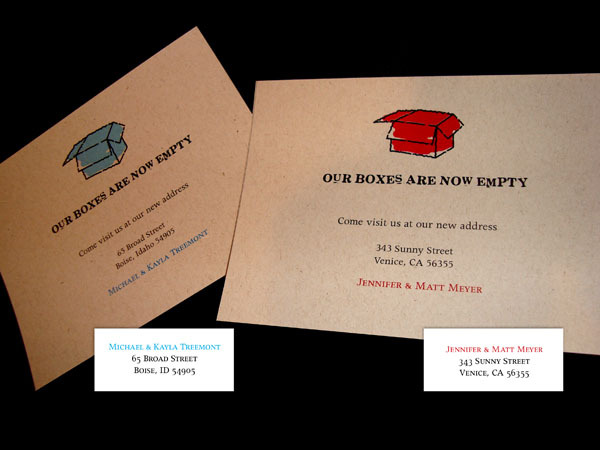 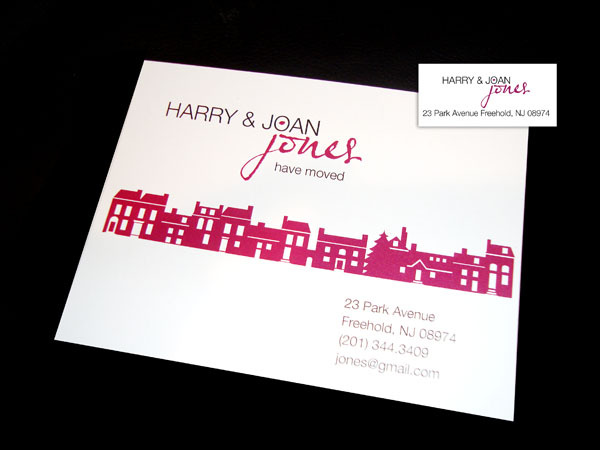 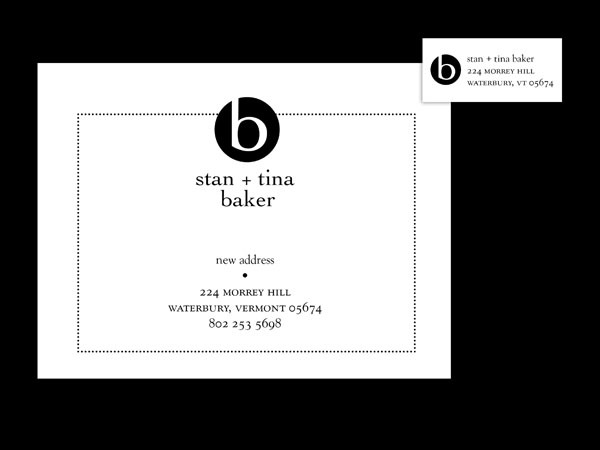 We can customize the announcement with a photo of your new place or simply choose a design from our collection. 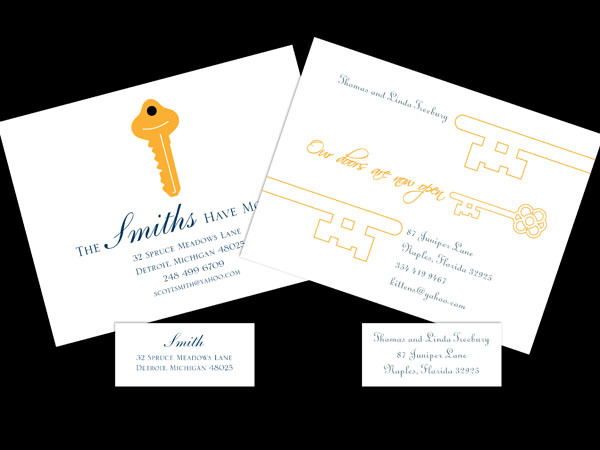 If you would like to have a housewarming party invitation to match, just let us know!